The International Organisation for Migration, IOM, on Thursday said over 340 migrants had died crossing the Mediterranean Sea in the past 48 hours. Flavio Di Giacomo, an IOM spokesman in Rome, said 103 people were presumed to have died in a shipwreck late on Wednesday, from which 27 survivors were rescued and seven bodies were recovered. “Counting three previous tragedies, the number of dead since Tuesday is over 340,” Mr. Di Giacomo said. He separately told journalists that there was a first shipwreck with 15 survivors and 35 missing; a second one with 23 rescued and 99 missing; and a third with 114 survivors, 1 body recovered and five missing. 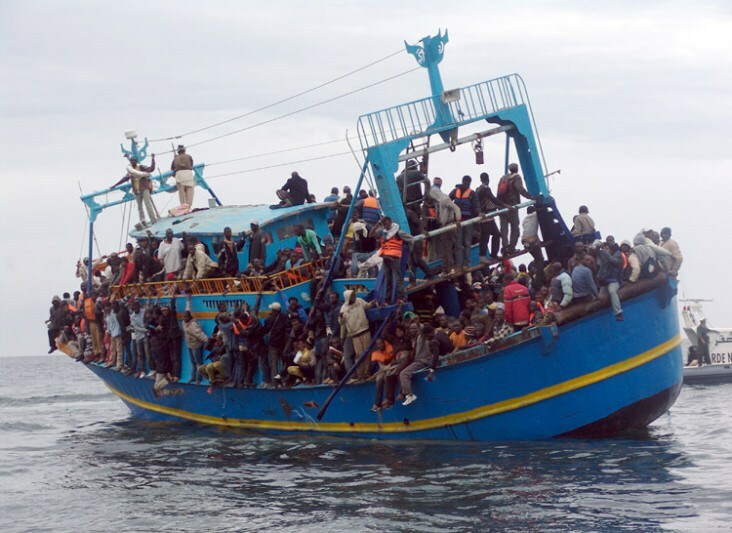 Mr. Di Giacomo said smugglers in Libya were forcing migrants on to boats in spite of very rough sea conditions, increasing the chances of accidents. “Survivors told us that they were forced to board even if they did not want to due to the bad weather,” he said. This year has seen a record number of migrant fatalities on the Mediterranean. Mr. Di Giacomo said about 4,500 died or went missing while trying to reach Europe, including 4,000 in crossings to Italy from Egypt or Libya.